Hey there. I'm an Android developer working at a social media company in Denmark. We recently started a project for a big customer, which requires us to show a high-poly model to the users. So far we've tried using JMonkeyEngine, but it's performance is not nearly good enough. 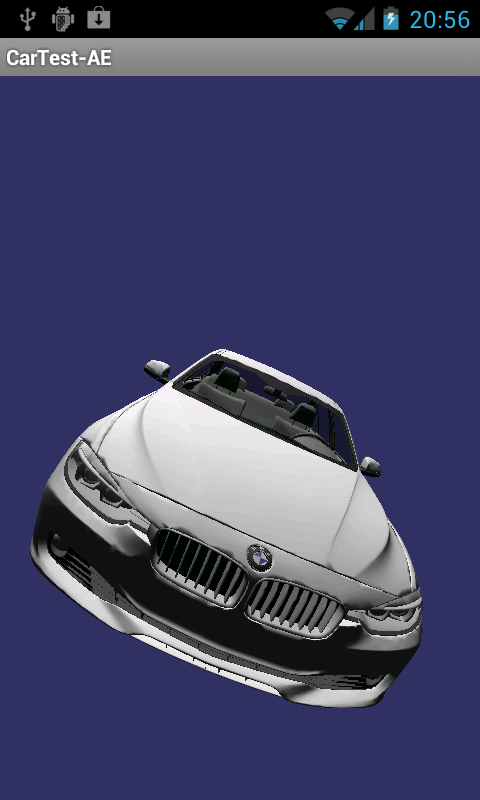 We have a very detailed 3D model of a car, consisting of over 100k vertices. Its using shaders for coloring and for the windows. Our main problem is the memory limitations of Android devices, with most of them running out of memory trying to load the model. I had a go at your engine, and noticed improved loading times compared to JME, but some old (and new) devices would still run out of memory during the loading. One of your demo apps in the play store (terrain benchmark) had a vertex count of over 100k, and loaded in no time at all. I presume its using your DeSerializer, which I've tried using, but saving the serialized object using the desktop library is using a newer version of the format, which makes it impossible to load it with the Android library. So, my question is. Do you think your engine will be usable in regards to loading/showing a high-poly model with shaders? They both work with version 4 of the serialized file format, so it should be fine. If it's usable or not depends on your requirements. The serialized format is the fastest and most memory saving format you'll get from this engine. Thanks. I got the loading to work with the beta, file format version matches desktop version. Although, Ive run into a new problem with memory limits. The original 3DS file is 1.7 mb. and the serialized model is 6.4 mb. Our old test phones die with out of memory when loading the serialized model, almost right away. (They have 24 mb heap). 05-03 11:10:09.798: E/dalvikvm-heap(21685): 287964-byte external allocation too large for this process. What confuses me is that in your AN3DBenchXL "terrain" bench even the 24 mb heap phones is able to load the scene, but they won't load my 80k vertices model. As you can see, i preserved the single objects (i.e. i didn't merge them). You'll need this for transparency anyway and the resulting file is smaller, because it contains less empty space). It even runs on old phones like the HTC Wildfire now. Anyways, I got one more question. As the loader takes the materials from the 3DS file, is it possible to fetch the material in the code and change the ambient color? Not directly, but you could try to hack around it. The colors are represented by little colored textures. These texture have generated names that might appear in the log output when they get added to the TextureManager. If you replace them in the TextureManager after the loading has finished, the color's should change. Got it working with swapping the textures, thanks. Another question: Is it possible to make the windows semi-transparent, to make it looked like toned windows? And another question: I've noticed that the model looks a hell of a lot smoother on a Galaxy S II and a Galaxy Nexus, than it does on a Desire, Desire S or Wildfire S. Is there any way to make the edges less "crispy" on low dpi devices? Anti-aliasing maybe? Anti-aliasing is possible to use in OGL2 only. I'm using this. edit: But with to large count of edges, it'll be probably very slow. You need to enable OpenGL ES 2.0 in your app through AndroidManifest.xml. Have you the newest version? To use 2.0, you have to use the other constructor for your FrameBuffer....the one without the gl instance.